The by-catch problem in the U.S. isn't just hurting our oceans, but our pockets too, according to a new report by Oceana. The environmental group estimates the U.S. fishing industry loses at least $1 billion annually from the staggering amount of seafood that is unintentionally caught (and then discarded) by fishermen. As the report notes, this figure seems especially high, considering that in 2012 the total amount of seafood landed by U.S. fishermen was worth about $5 billion in total. "The fishing industry in the United States is an important part of the economy, generating $82 billion in sales and supporting 1.2 million jobs," the report reads. "Unfortunately, much of this value could be undercut by by-catch." The economic analysis, which was made public Thursday, is a follow-up to an earlier Oceana report's estimate that 2 billion pounds of by-catch is discarded at U.S. fisheries every year. According to that report, the use of unsustainable and indiscriminate fishing methods and gear in fisheries across the United States has meant that some fishermen are regularly throwing out a large percentage of everything they catch -- either because the fish (or other marine creatures) have been injured or prematurely killed during their capture, or because they weren't supposed to be caught at all. 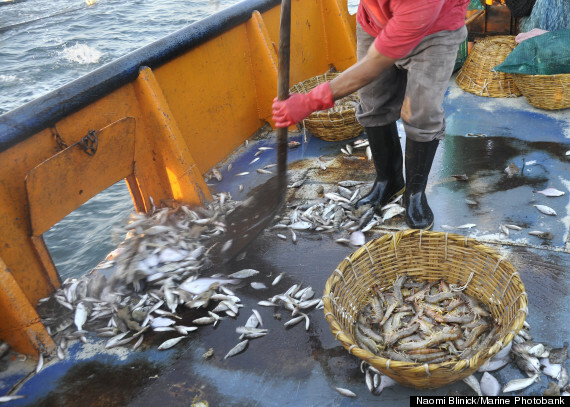 Marine scientist and report co-author Amanda Keledjian told The Huffington Post that her team used the earlier report in their economic analysis, assessing what the value of the discarded fish would be if they were sold instead of thrown overboard. The $1 billion figure was a "conservative estimate," she said, adding that if one considers the "indirect cost of by-catch," like reduced wages or the loss of jobs because of the lower number of fish brought to port, the "overall impact could very well be much higher." Ultimately, Keledjian says she hopes the new report will draw attention to just what an ecological and economic disaster the by-catch problem is in this country. Addressing industry criticism that Oceana's by-catch report did not adequately acknowledge the progress that the U.S. fishing industry has recently made with regard to by-catch, Keledjian said that the nonprofit's goal was to provide an "overview of the by-catch problem" in the U.S.
She added that although some fishermen and the government have made great strides to manage the issue, the problem of by-catch continues to contribute to overfishing and the decline of fish populations. "There's been a lot of progress. ... But we're not finished yet -- and that's our point," she said. "It's important that we keep taking these steps to benefit the marine environment and the people whose livelihoods depend on it." In its report, Oceana recommends that the government and the fishing industry devise new ways to "accurately count all catch, cap the amount of by-catch with science-based limits and control by-catch through effective management measures that will ensure limits are not exceeded and that by-catch is reduced over time." By-catch is, of course, just one of many problems plaguing our oceans today. In a new report released this week, the Global Ocean Commission warned that the oceans are in serious decline. Overfishing, illegal fishing, pollution and climate change are just a handful of the many problems facing our seas which the report highlights. 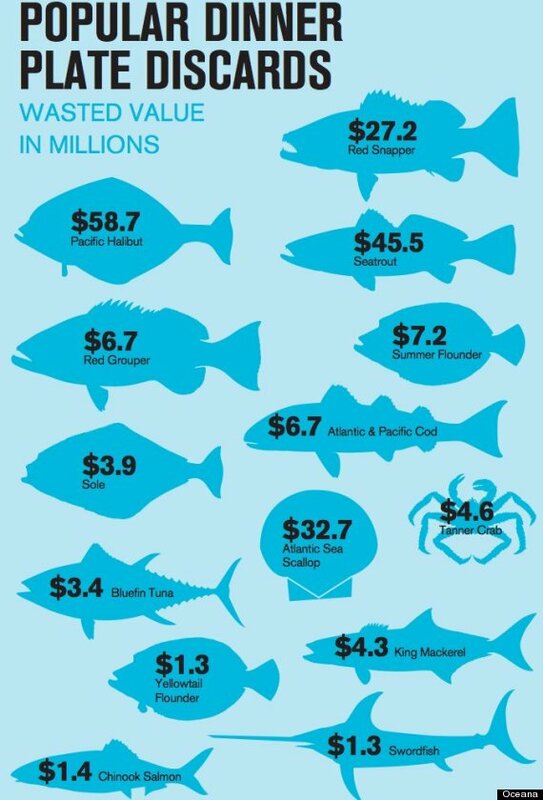 Read Oceana's "Wasted Cash: The Price of Waste in the U.S. Fishing Industry" report here.